Green tea isn't something I ever used to like, I remember when I tried my first cup it actually made me feel kinda sick and I decided that I hated it. Well and truly hated it. However hearing about the health benefits made me force myself to drink it and after a while the unthinkable happened... I actually started to like it. Fast forward to a few years later I now drink a cup every morning when I wake up without fail just because, well, I need to. And I love it! I've noticed that a lot of my friends have had a similar reaction when it comes to green tea, it just takes quite a while to get used to I suppose, but when T Plus Drinks offered to send me a few samples of their teas I had to do a little happy dance at getting to try more types of green tea, I just can't live without it. Now I honestly can't function in the morning without green tea, most of the time I just happen to drink the plain normal Tesco ones or something but I've always wanted to try the fancier styled flavoured ones that offer other health benefits, I just never have. Looking through the ones I received from T Plus I was quite intrigued as to how they all helped with different things, I mean were they actually going to be of any help? Was there any point? I was surprised to find out that yes, they did! My favourite ones are 'Detox' and 'Boost'. The Boost one is raspberry and pomegranate so not only does it taste absolutely delicious, but I felt so much more refreshed and ready for my day when I drunk this first thing in the morning. Normally I struggle with feeling not so great when I wake up and it makes getting on with my day so much harder, I'm sure quite a few of you will understand that. This one is now a staple in my morning routine just because it completely removes that feeling and I don't want to crawl back into bed anymore. Now my samples have run out I'm definitely going to have to order a few packs of Boost, not quite sure I could wake up without it now! 'Detox' is apple and blackcurrant, also one of my favourite tasting ones and I tried this one when I woke up extremely hungover one morning. Now I have no clue how it happened, but this honestly helped so much. I rarely get hangovers but when I do they hit me hard, I sleep for almost 2 days and it's such a waste of life. Obviously this didn't make me a bundle of energy but not only did I feel a lot better on the inside but I actually stayed awake and spent my day doing things rather than in bed feeling sorry for myself, so it's safe to say I was pretty impressed! Do any of you like green tea? If so do you have specifically tailored ones or do you just go for generic green tea? I never thought ones like these would work but I'm so glad I tried them in the end, it's kind of amazing. If you want to follow me on bloglovin then click HERE, I'm always active on there and I follow back/read others posts a lot! You can find T Plus Drinks over here if you're interested in trying any of them. They have a pretty cool selection of different types of green tea so they're deffo worth checking out. 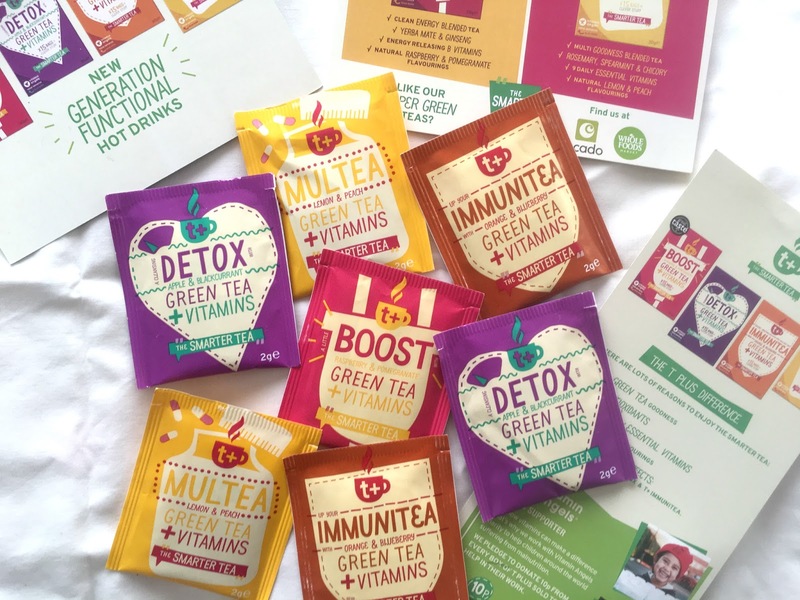 Another great post Izzy love this review, I like green tea booth the simple version and the tailored ones, but I drink it mostly on autumn and winter time also this is the first time I heard about the T Plus Drinks. It takes time but it's worth it! Can you please get back to me once you see this message? I tried reaching you on your email but with no luck so I would appreciate if you could check for my emails and replay as soon as possible.